Eight years ago, elite powerlifter and Strongwoman competitor Charity Witt was sleeping in linen closets and working 60-80 hour weeks in another country as she tried to put a bad childhood behind her. Witt, who stayed in Canada working at the same event center that she “lived” at, did this for two years until she moved back to Georgia and —with help of the Hope Scholarship— was able to study biochemistry. It would, she envisioned, change her life. So would picking up the barbell. Witt, who is a world-record holder as a 75 kg (165 lb.) lifter, can squat and deadlift more than 400 lb.. She is an elite level powerlifter, a middleweight Strongwoman and full-time med student. But none of this comes easy. She was diagnosed with cardiac arrhythmia at 17, works around scoliosis (likely from being thrown from a horse as a child) and dealt with a ton of backlash from the moment she took an interest in strength sports. “My family was disgusted,” said Witt, who was approached in a gym about five years ago about trying powerlifting. “They thought it was for dudes and they told me I was going to be a disgusting powerlifter and it was only for sumo lifters and gross women. I had to basically choose myself and ignore all the negativity. Witt is no stranger to ignoring mainstream advice. After working her way up to manager of the event center in Canada at just 19, she quit because it wasn’t rewarding. When she was diagnosed with the arrhythmia, one doctor told her she’d have to live a sedentary lifestyle and take daily medication. Instead, Witt manages her diet and keeps her scoliosis in check by doing prehab exercises and staying aligned. She’s currently studying at Trinity School of Natural Health for Naturopathic Doctor, so that she can help treat cancer with natural medicine and not chemotherapy and other harsh drugs. “My grandfather dealt with [cancer] by changing his lifestyle and diet, staying away from chemicals altogether and healing his body every way possible and he was fine,” said Witt, who had another grandparent beat cancer, but struggle with the side effects of chemo. Witt is very careful about what supplements she takes, eschewing dairy and eating plenty of carbs and meats along with a shot of daily shot of apple cider vinegar in the morning. 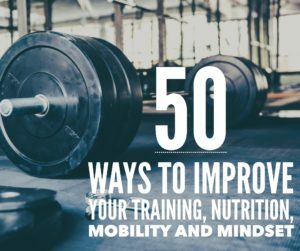 But that doesn’t mean the Doughnuts and Deadlifts athlete is immune from occasional splurges or body-image issues. In fact, Witt has gained 25 lb. since she started powerlifting. “It really bothered me at first because when you gain weight it’s not like [immediately], ‘Bam there’s muscle!’,” said Witt. 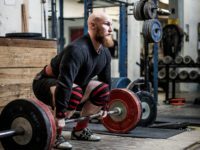 “I was basically eating 1,000 calories a day, veggie shakes and chicken [before powerlifting]. When I started eating what I should have been eating, I gained a lot of weight and it wasn’t all muscle. It was a process to learn to accept it and know it was going to be a lifelong commitment and not a quick fix. I had to create a lifestyle fix and get my metabolism up and running. Some of Witt’s family has come around to the idea of her throwing weight around. Some never will. Witt needs every bit of those muscles- whether it’s repping out a 315 lb. back squat or hoisting a 290-lb. stone over a 48 inch box multiple times. 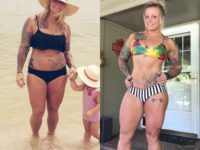 She trains with a barbell during the week and Strongman style on the weekends, juggling a schedule that has her working for a doctor 4:30 a.m.- 11 a.m., training in the afternoons and coaching clients for four hours at night. As a pretty blonde, Witt gets a fair amount of criticism on social media, both by people who are only interested in her looks and those who don’t taker her seriously because of them. Generally, she doesn’t respond to nasty messages, channeling her energy elsewhere and reminding herself to control only what she can control. “I made the mistake when I first started [thinking], ‘OK this girl and I started with the same deadlift why is hers more than 100 pounds than mine six months later?’ It really discouraged me at first. But I’ve just realized that it doesn’t honestly matter,” she said. 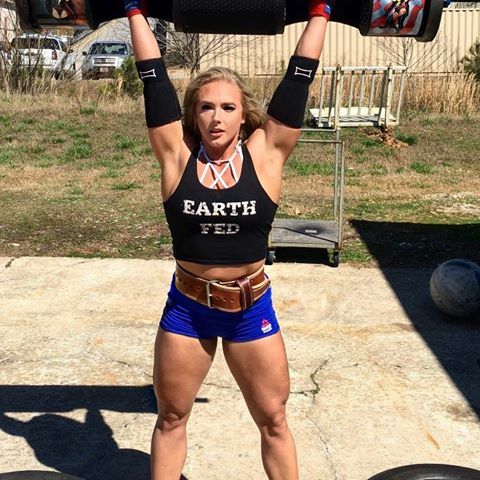 charity witt, powerlifting, strongman, strongwoman. Bookmark.